You'll find advice to parents of Marines from a seasoned Marine dad as well as a touching photo that a Marine mom submitted to us. 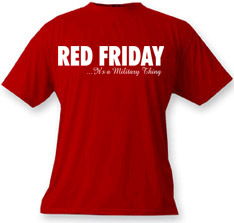 And don't miss the EGA Store featured item. Every purchase you make at the EGA Store goes back to the outreach programs that support our Marines and their families! Learn more about getting involved in Gold Star Mother's Day in an article below. Gold Star Mother's Day is the one day out of the year designated specifically to honoring the mothers of our fallen heroes. 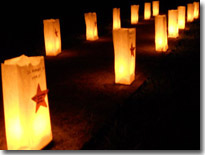 Two years ago we began an initiative to encourage the public to honor the mothers and families of military members killed in action by lighting a luminary on Gold Star Mother's Day, the last Sunday in September each year. President Franklin D. Roosevelt officially proclaimed this day Gold Star Mother's Day in 1936. In honor and recognition of the brave mothers and family members who lost a loved one in service to our country, we encourage you to light a luminary on the evening of September 25th and display it on your front porch or at the end of your driveway. You can purchase ready-made luminaries from our EGA Store, or you can make them yourself out of a few basic materials. Click here to print instructions. Learn more about Gold Star Mother's Day and pledge your support at www.GoldStarMothersDay.com. There is always some uncertainty in knowing what to call a Marine who is no longer on active duty. It's well-known that using the term "ex-Marine" is a major faux pas, but there has been some debate about the term "former Marine." The Commandant clears it right up: Do not call a Marine who is not on active duty a former Marine. Once a Marine, Always a Marine. A woman from Rhode Island, Karen, and her husband, Mike, who is a pastor, donated 329 pairs of Covert Threads socks that were included in the care packages we sent on July 23rd. they are the most ideal socks for deployed Marines. They were engineered by a Marine, for Marines, and there are three variations: two that are meant for extreme weather conditions and one that is fire-retardant. Karen and Mike donated 329 pairs of "Sand" which is ideal for extremely hot weather conditions. They say that they plan to donate the "Ice" variation when winter rolls around. 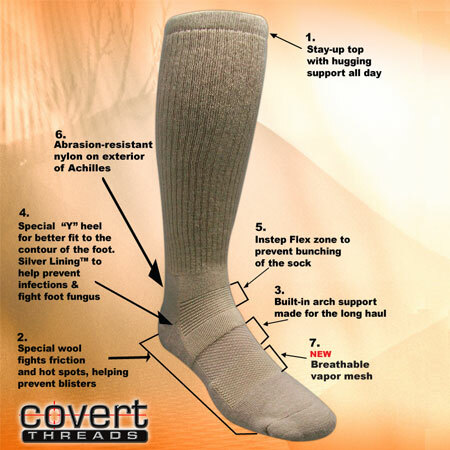 Click here to buy Covert Threads for your Marine. Bridget Cantrell, Ph.D., will be participating in Marine Parents' monthly online discussion on Post-Traumatic Stress Disorder Thursday evening, August 11th, at 8 p.m. CST in the Marine Parents chat room. The following was written by a Marine dad who posts frequently on our social networking community Marine Family Network. In this particular blog, he catalogues each stage of the Marine Corps through a parent's point of view. Being a Marine is hard, but rewarding. The journey is exceptionally tough, but when you look back you usually find the challenges you faced were worth it. The same may be said for being the parent of a Marine. More than four years ago, my two sons left for boot camp at Parris Island. They had a vague idea of what to expect and so did we. For my sons, I think the reality was quite different. I know it was for us as Marine parents. That's because in both instances until you live it, there's little chance of really understanding it. One thing I'm sure of: I don't have all the answers. But I do have a better understanding, and am happy to share that information with all of you. "We buy all our items from the EGA Store and thought you might like to see that pets miss their marines too! Some say this photo is sad but we love it!" Thank you for sharing this touching photo Norma! We love to get photos from our supporters. If you have a photo you'd like to share, send it to store@marineparents.com. To see other photos we've received visit our "Semper Family" photo gallery here. 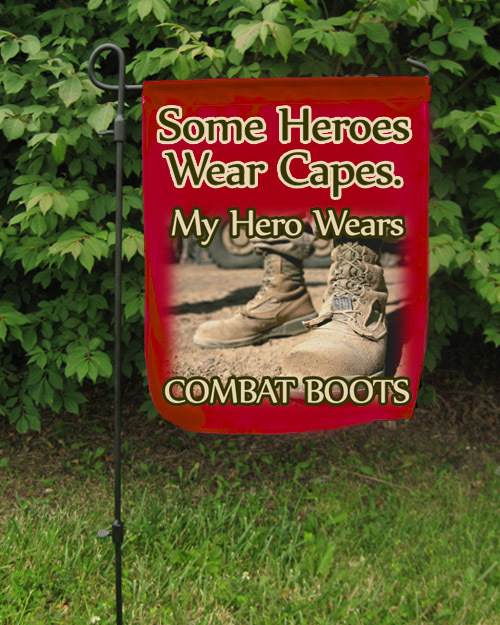 Adorn your lawn or garden with this garden flag only available from the EGA Store. The banner used at the top of this newsletter is an August 2011 USMC Photo by Capt. Caleb D. Eames of U.S. Marines with Company F., Battalion Landing Team 2nd Battalion, 7th Marines, 31st Marine Expeditionary Unit, fire a high-explosive rocket from a shoulder-launched, multipurpose assault weapon during bilateral exercise Raider Dawn.